Antique Brass Finish Handbag Turnclasp. This replacement flap catch is quite common in flap over handbags. 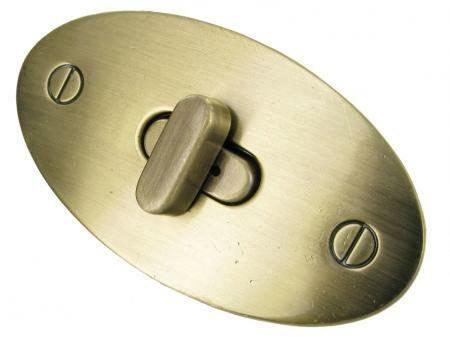 It is Antique Brass coloured and comes with a back plate for the turnkey base plate together with a screw together front plate .It is a slightly smaller version of the C1212 ANTB.